SIDDHI IMPEX – is a professionally managed Merchant Exporting Company. The company is managed by Mr. Suresh Kejriwal, having more than 15 years of experience in International Business.Understanding and fulfilling the needs of overseas customers is our prime focus. we are located in Mumbai, having two of the most modern ports of India, we have arrangements in most of the other major ports and ICDs in the country. 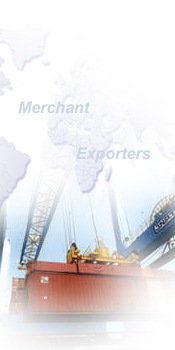 Thus, We can, make shipments from the port or ICD nearest to the place of manufacture. Shipment from any port or ICD is closely monitored by us so that our customers can just place order and relax. We buy the best of the packing materials made here, be it bags (both plastics & paper) for packing solid-powdery chemicals, be it plastic drums or Bulky Boxes for packing liquids – both Hazardous and Non-hazardous.We also have arrangements for shipment of liquid in bulk in ISO tanks at the most competitive rates. We believe in long term,Transparent and Trustworthy relationship and work hard to achieve the same. In the process, we have earned the trust of our present buyers, in countries like Australia,Canada,NewZealand,UK, Ukraine,USA etc. whom we have been supplying our products regularly for the past several years. To serve our customers with quality products and timely dispatch, we have joined hands with reputed manufacturers of India. We realize the importance of prompt service, shipment status updation, and give timely feedback to our customers. We have set ourselves very stringent and high service standards and work closely with the factory manufacturing the product of export, shipping agents, custom house agents and our buyers.We are improving our services day by day by recording non-conformances, analyzing customers’ complaints.